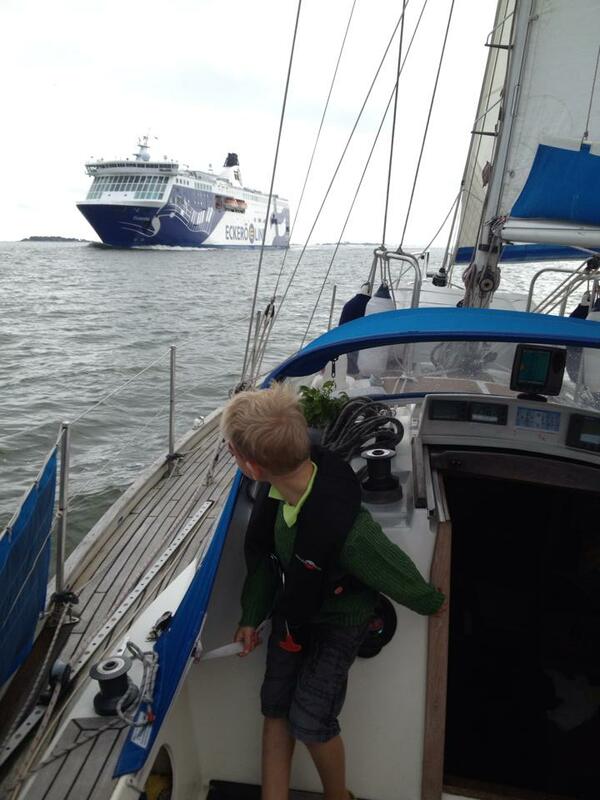 Welcome to our online logbook for the sailing season 2015! 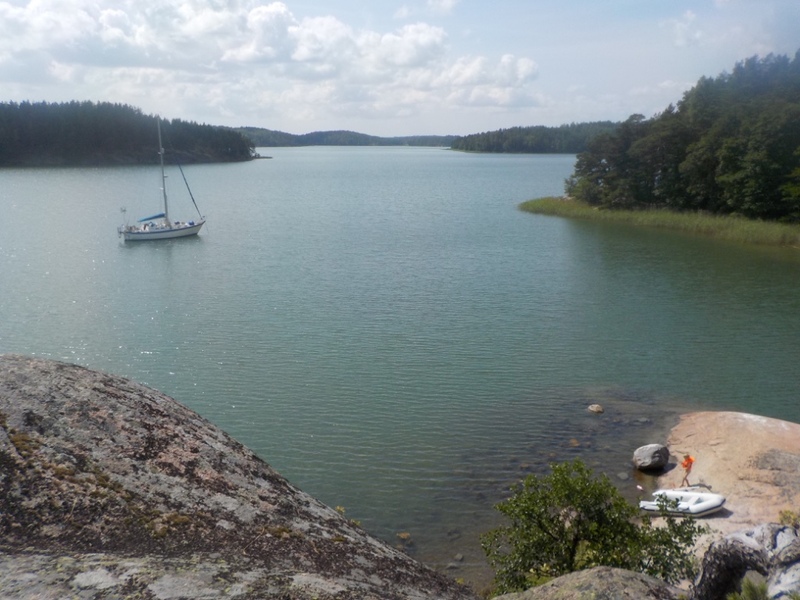 This season we first sailed S/Y Stella Polaris from Oulu to Helsinki, Finland and spend the rest of the season exploring the surroundings of Helsinki and Estonia. Exciting, pretty stressful and busy day: 1. 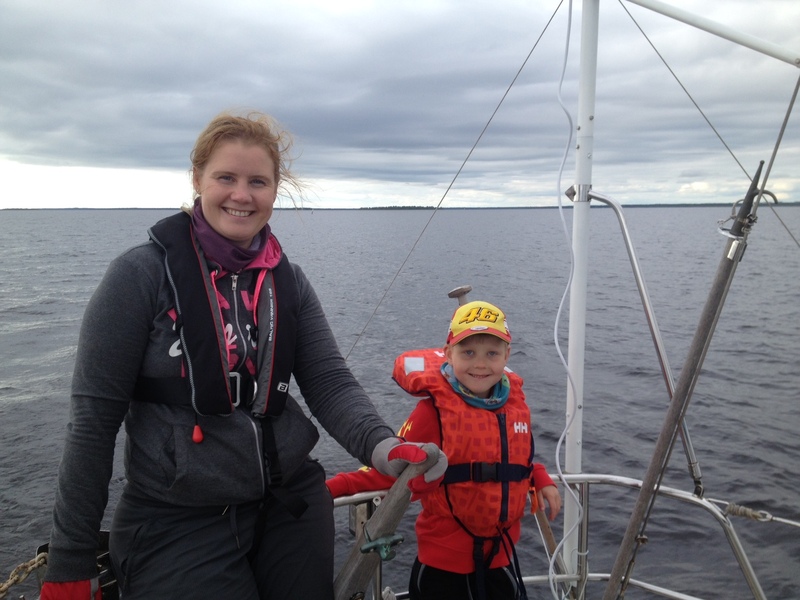 Sail to Lauttasaari, get the mast down and seated safely on deck. 2. Move to garage all items from inside the boat. 3. Motor under some bridges that are not too high to the winter storage area. Is the bridge high enough for us if we leave the wind generator up…? 4. Lift-up of the boat to a new rack that we were not 100% sure that will fit. And it all went perfectly. 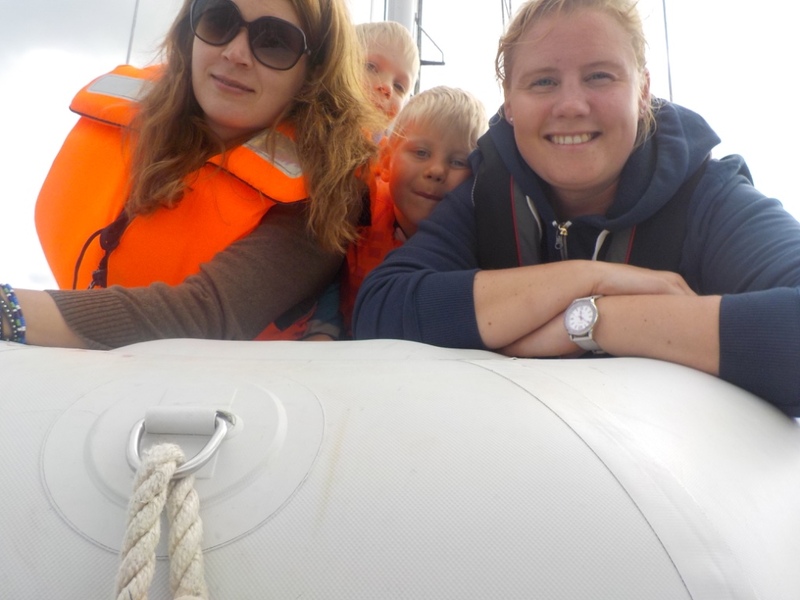 :) End of sailing season 2015. To get a fast start after a workday, Saku and Anton moved Stella next to a grocery store and met Sanna there. Quickly some food to the oven and off we went! We had good wind and enjoyed the life onboard. We arrived to Prangli just before dark and immediate liked the serenity of the island and its’ small harbour. Later in the evening, we welcomed our friends on S/Y Acamar to the safety of the Prangli harbour from the sea that had turned from perfect sailing conditions to awful battlefield against nature. We enjoyed our “summerhouse” in the Helsinki city center and went nowhere. Warm and dark summer evening was perfect for just sitting in the cockpit. Anton’s remote controlled sailboat went to her own way which generated a rescue missing with a dinghy. 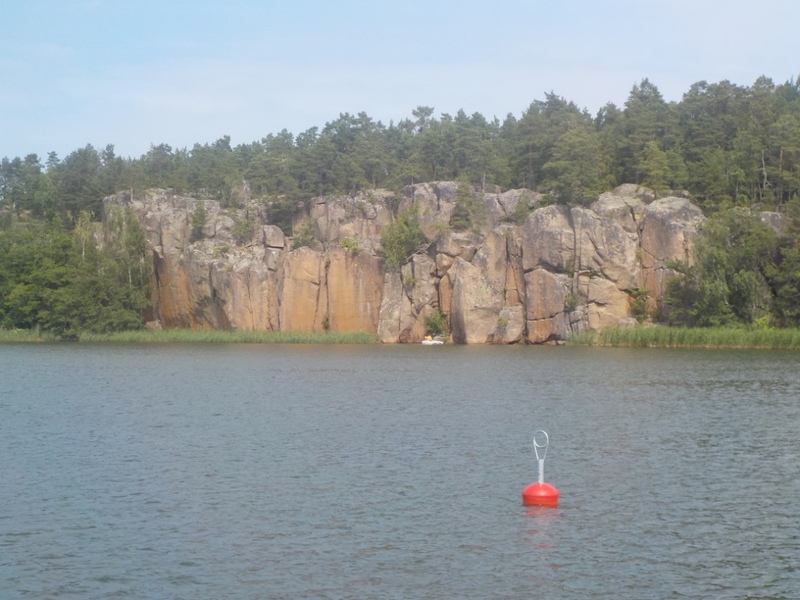 On Sunday, we visited Söderskär nature reserve that was highly recommended to us by many. Stella was ashore moored to the rocky island that is accessible only in good weather. We walked the island, went swimming but had to leave early because the anchor did not keep even though we fixed it several times. See more pictures from Facebook.com/systellapolaris. It was more than 5 years since the crew of Stella Polaris last visited Tallinn and the city really won us over this time with nice shops and cafeterias with reasonable prices, and high quality grocery store. 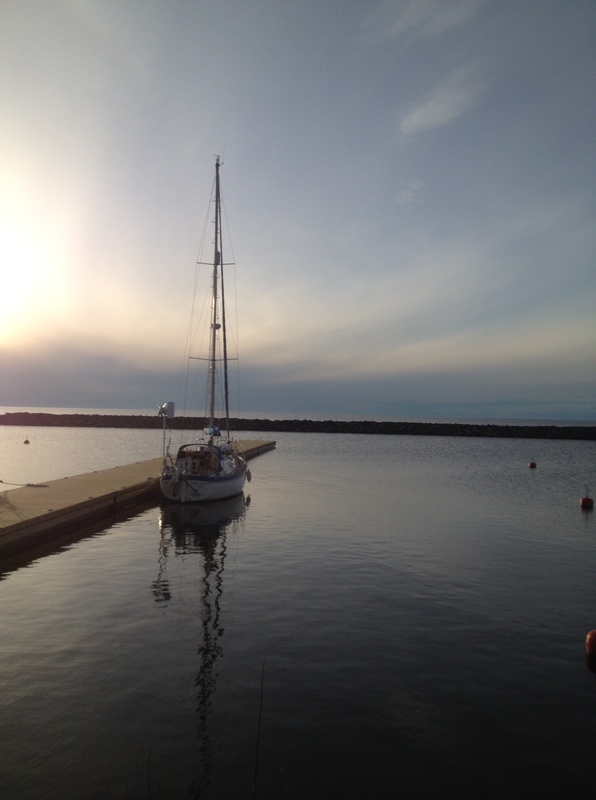 We also believe that S/Y Stella Polaris has not ever visited Estonia before. For the first time, we had to buy a new courtesy flag! The passage back to Helsinki was even more unpleasant than the arrival to Tallinn with persistent high waves and dying wind – not fair! On our arrival to Helsinki, we met Viking Line in Kustaanmiekka. We delayed our early morning start because of fog but still we found ourselves in the middle of fog just outside of Helsinki. Do you know the feeling when you can hear a foghorn very close but you can’t see anything? 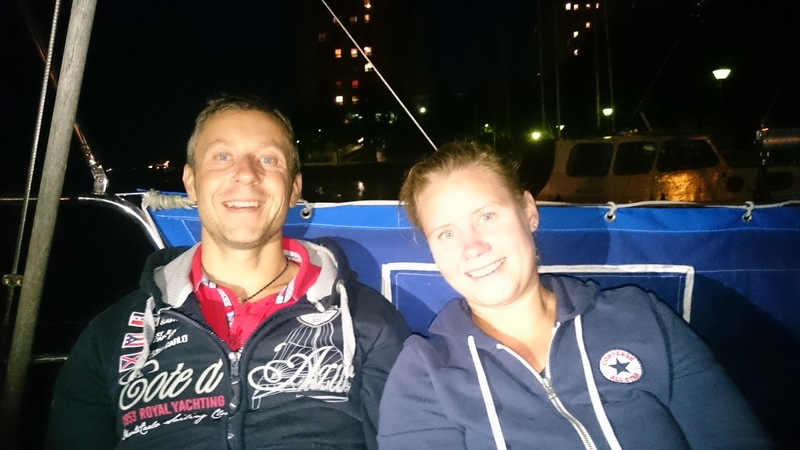 After a not so pleasant passage to Estonia in increasing wind and waves, we were greeted by Yvonne, Petri and Charlotta in the Pirita guest harbour. Would you believe that motoring 10 minutes in this narrow bed of reeds would take you to a rocky natural harbour of about 100 boats? If we hadn’t been told about this vague entrance, I don’t think we would have ever tried this harbour. Before heading to Helsinki in the morning, we walked the nature train in the largest oak forest in Finland. Like last year, this year’s last leg also proved to be a challenging one – the wind was about 14m/s from South. And that’s not very nice when you have to pass headlands of Upinniemi and Porkkala. We arrived to Helsinki at the same moment when 3 Caribbean cruise liners where leaving to harbour. 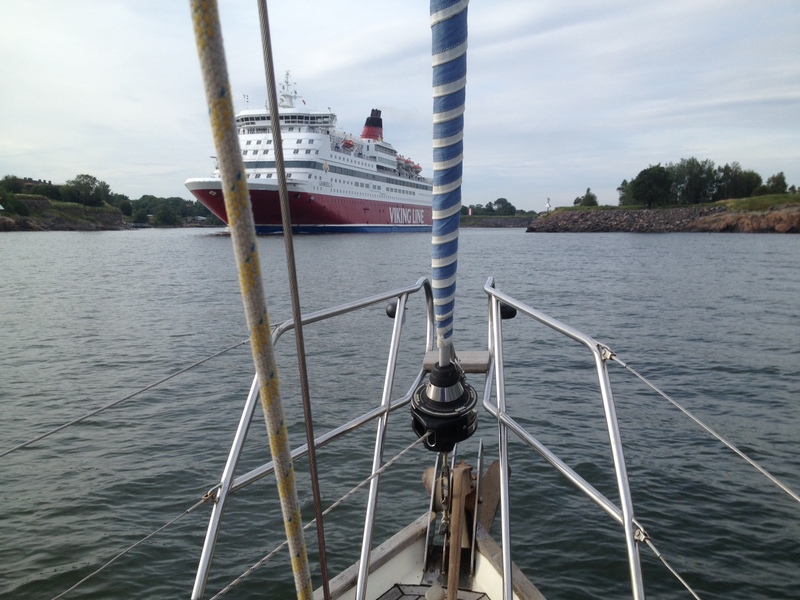 It was pretty clear who has to give way… We arrived to Helsinki at 6pm and were greeted by Mervi and Christian. 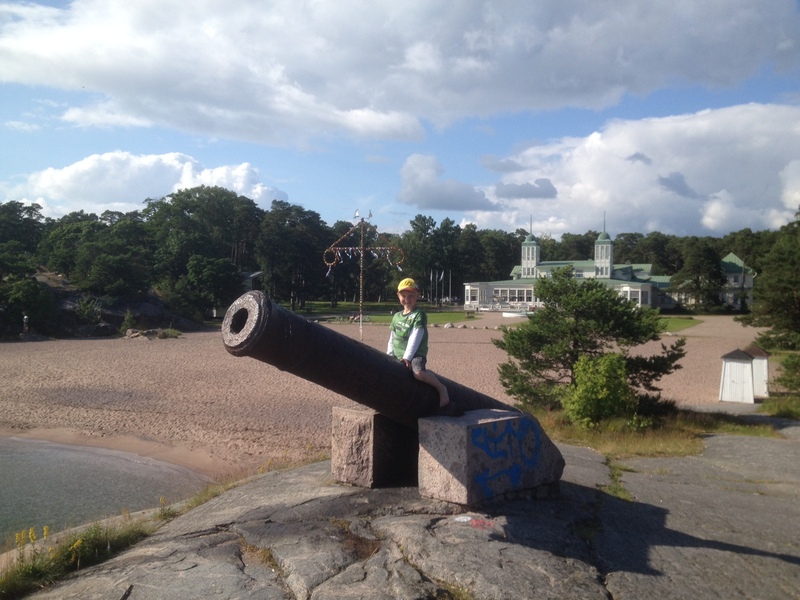 After couple of days in the “big city” of Hanko, we were ready to move towards Helsinki again. Elisaari was recommended by many and after a nice sailing leg we arrived there in rain that lasted the whole evening. The entrance to the harbour was more than interesting… see picture above. No waves, good amount of wind and varying course offered us the best sailing leg so far in this season. This was different kind of sailing that we are used to and we liked it! 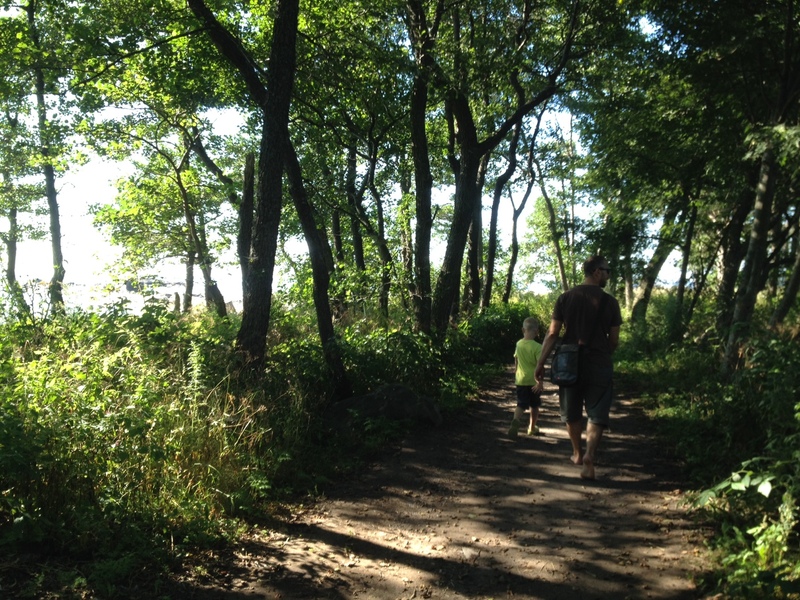 Arrived to Hanko in good time for sauna and pizza. 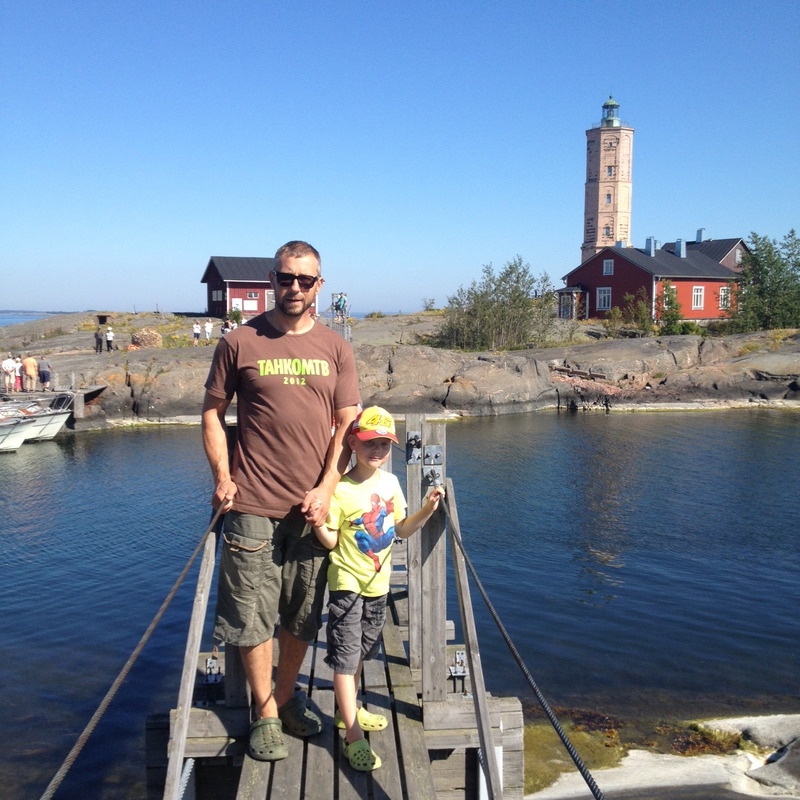 The following day we drove around Hanko and enjoyed the summer day. It was very light wind on the way to Sillholm and Anton & Sanna used the opportunity to ride the dinghy. The dinghy was faster than S/Y Stella Polaris. :) Helsingholmen was a place that was recommended to us by many so of course we had to go and see it. It was a very full but relaxed harbour with the a nature trail. Anton and Saku did some heavy fishing and a island cat sat by Anton waiting for him to get fish. (The cat got his lunch eventually.) We ordered fresh bread from the cafeteria for the morning and it was delicious! Another anchorage place adviced by S/Y Karamelli – thank you! After we had all supplies again, we longed for some peace & quiet and nature. 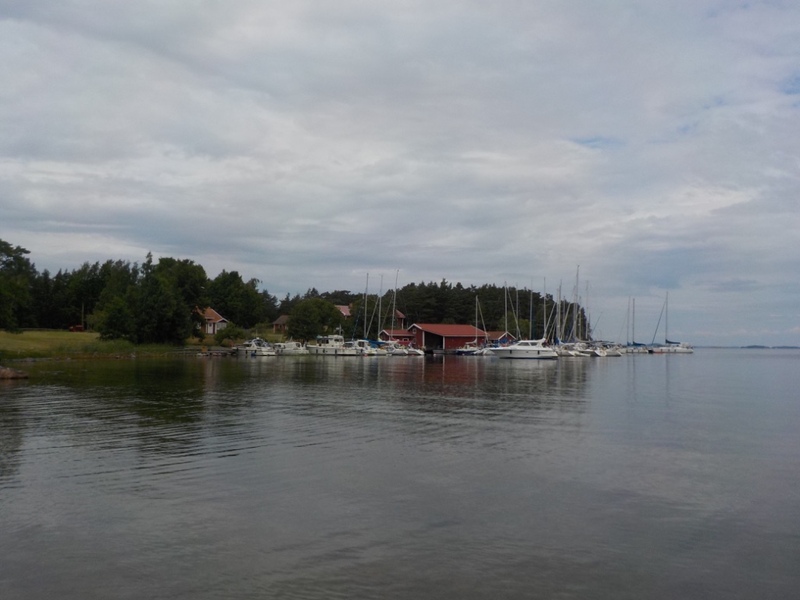 We found a nice anchorage at Punalahti. Provision break – diesel, food, clean clothes and sinol! 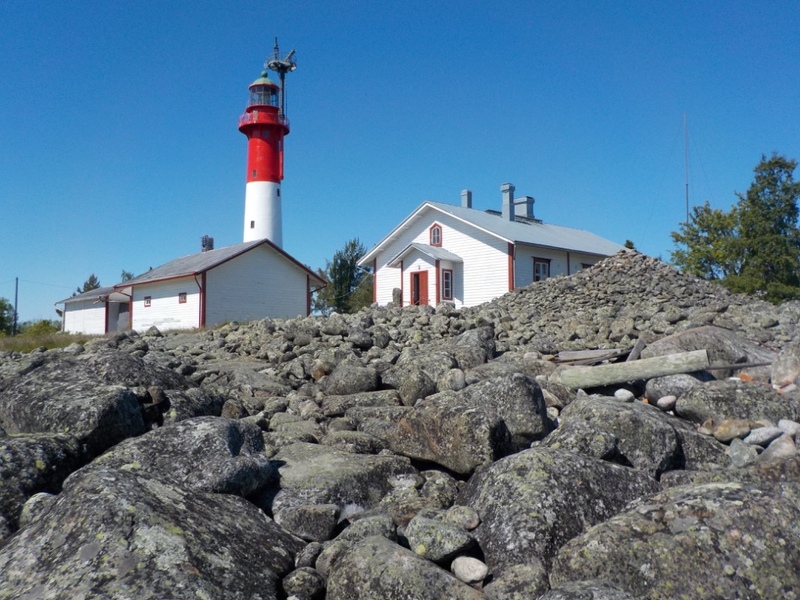 It was a nice short sail to Lootholma from Isokari and it proved to be a perfect place to fill up provisions in Kustavi, which is only couple of kilometres bike ride away from the harbour. 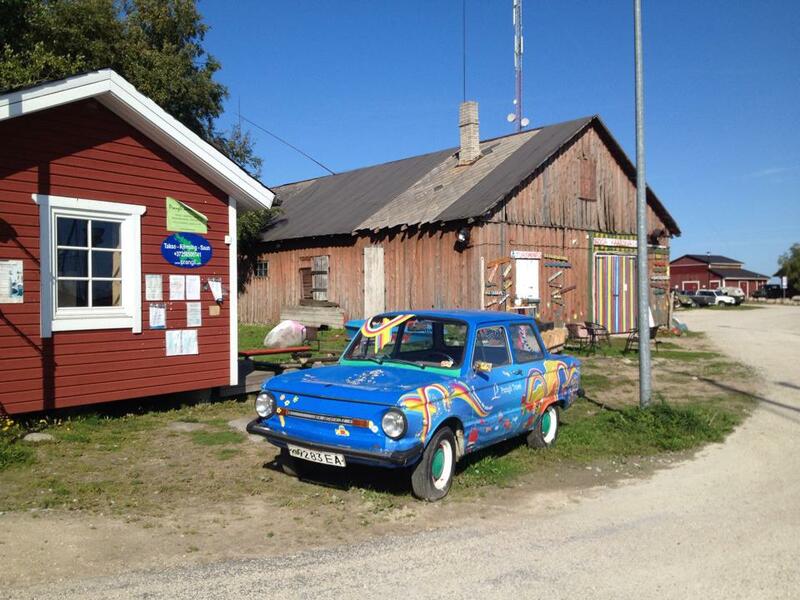 Lootholma also offered us a music festival at the harbour, a very nice sauna with a swimming pier and laundry facilities. Reasonable high waves but really good tailwind took us from Kaskinen overnight to Isokari outside of Uusikaupunki. Overnight we saw one other sailboat and that’s it. It was quite a whirlpool night with only little sleep for the adult crew but we were happy to make some distance. The island of Isokari with the lighthouse was bigger than we expected and we investigated the island thoroughly. The harbour was windy and Saku did a smart manoeuvre with S/Y Stella Polaris when we had to change our location to make room for the ferry. 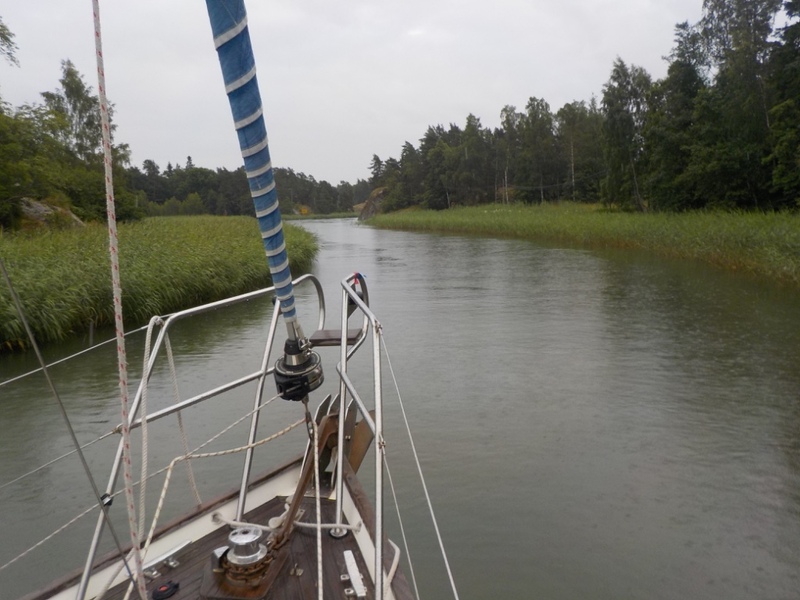 We left early in the morning from Vaasa expecting light headwind turning bit to our favor but no… We spend the day motor sailing and navigating the coastal passage. It was a bit boring but at least we did not have to fight the waves. We arrived to Kaskinen in rain and made warm noodle soup for dinner. 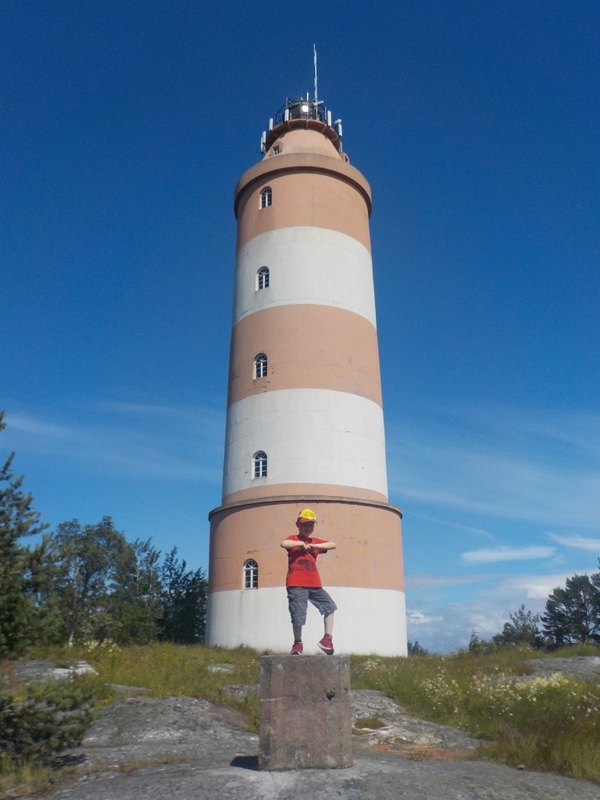 Wonderfull Tankar island offered us a welcomed sauna, company of new & old friends and a visit to the lighthouse that was just re-opened for the public after renovation. We left Tankar around 6pm with the expectation of high waves and good wind. However, the weather calmed down quite fast after our departure and we ended up motor-sailing half the night. 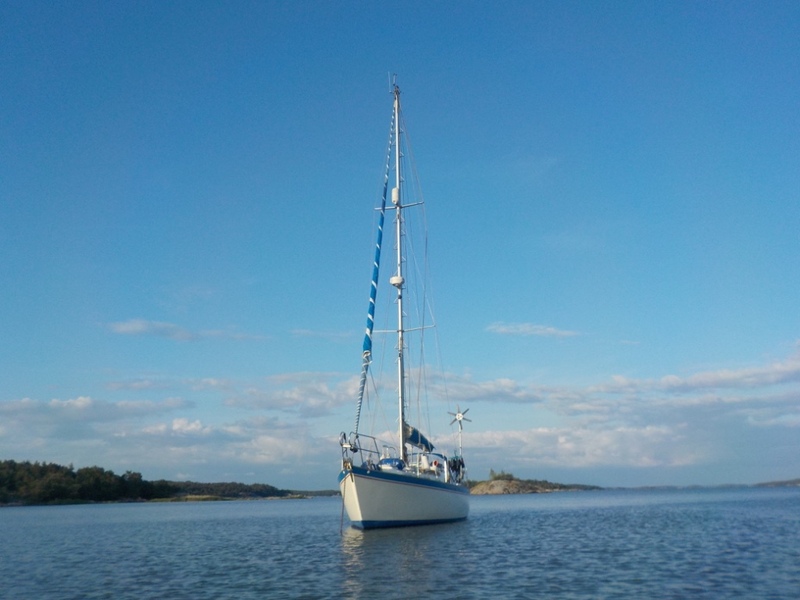 At sunset (3.00am), a good breeze started again and we enjoyed a wonderful early morning sail under the Raippaluoto bridge drinking coffee and watching the beautiful summer cottages of the Vaasa archipelago. This kind of a favourable wind has been a rare occasion in our short sailing history with S/Y Stella Polaris. After arriving at midnight to Maakalla, we enjoyed a lazy morning and searched the island remembering our visit to the island last year. 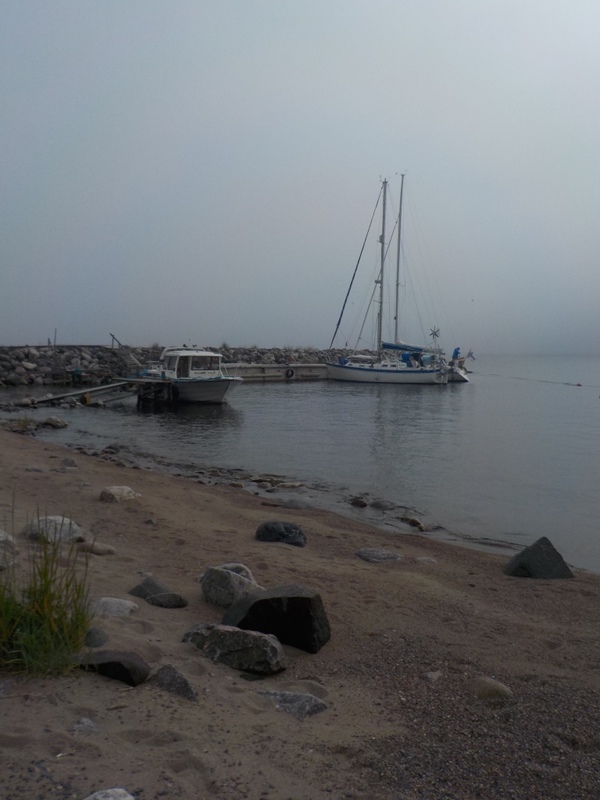 We bought fresh smoked fish from a local fisherman and waited for the fog to clear before continuing our journey. In Marjaniemi, we had friends visiting and we enjoyed the stay even though the weather was nothing like summer. Our journey towards South continued on the night of July the 3th. At midnight, we were just passing the island of Maakalla and decided to seek shelter from the lightening that had just started. 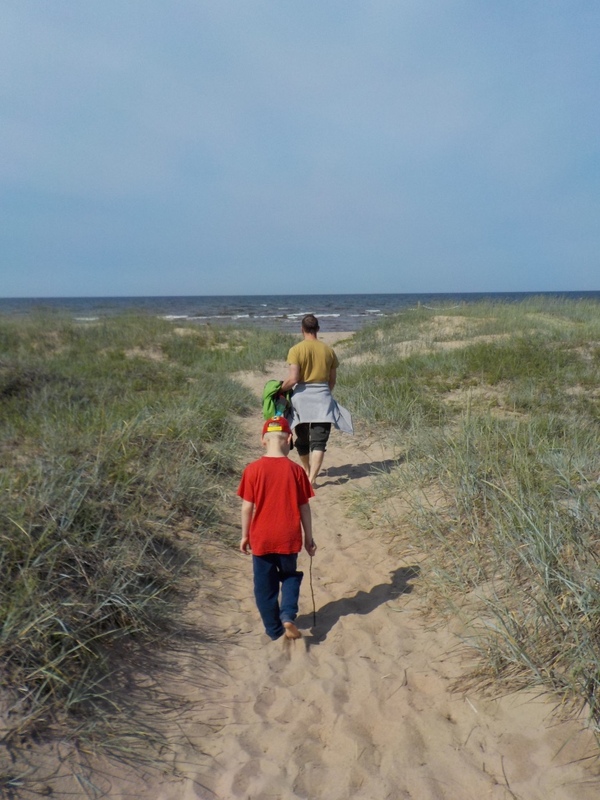 1.7.2015 – Start of the summer sailing adventure! Motoring most of the way against light head wind. On the way stowed provisions and clothing, enjoyed coffee and sandwiches. Saku tested the wind pilot and it needs the final adjusting. 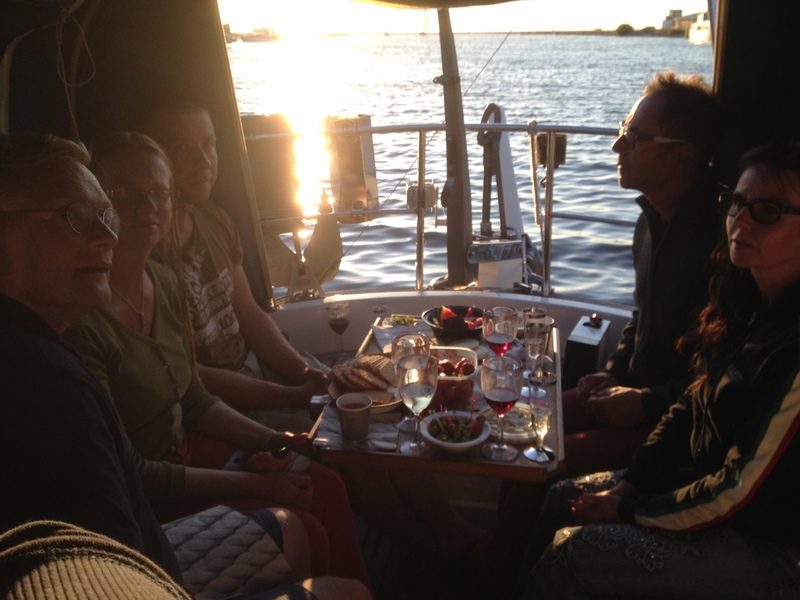 At the evening, enjoyed a nice dinner at the Marjaniemi harbour. Thank you Erkki and Pirkko for the company! 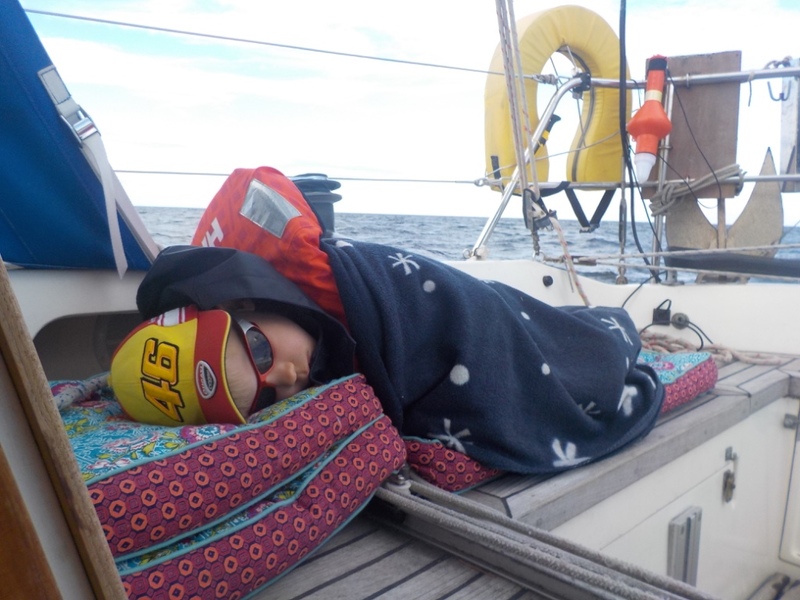 Part of our preparation for the summer sailing trip was to spend a night at the boat and see that we have all essentials. Still few things to fix and get… On Saturday we were accompanied by friends for a walk through the historic island and nice late night grilling on the pier. When we headed home the next day, we forgot that we had turned off the diesel tap… Saku run to open the tap but missed it by a second: the engine died on us while exiting the harbour area. With light wind and no traffic, we exited the harbour safely with sails. When on clear waters, Saku learned how to bleed a diesel engine – the hard way. Evening test sailing trip to check that everything works the way it should. It does. :) On the way back to our home harbour, we cruised to the Oulu city centre to get diesel and ice cream. Slowly but surely we are getting reading for our summer sailing trip. 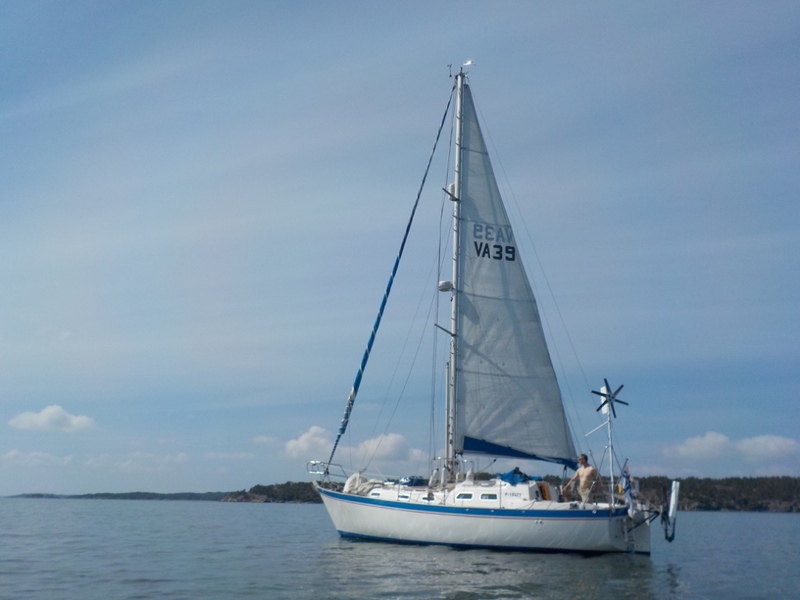 20.6.2015 – Inspection and cleaning of the mast. Setting up the rig. Thank you Erkki, Pirkko and Antti for your help! 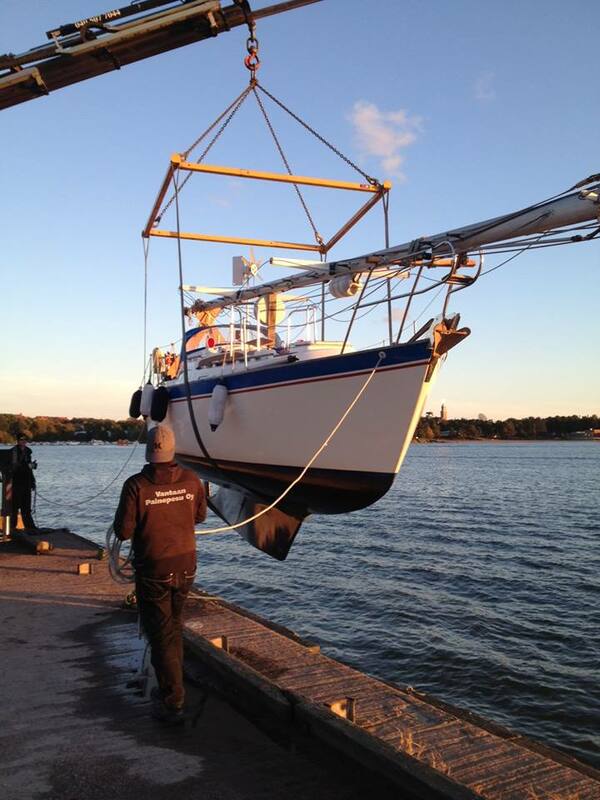 5.6.2015 – S/Y Stella Polaris was launched today for season 2015 without any issues!